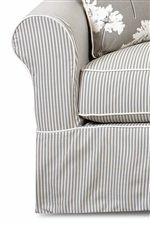 This sofa has a cozy feel with traditional elements including rolled arms and a slip cover. The two throw pillows add a fun pattern or color to the look of the room. 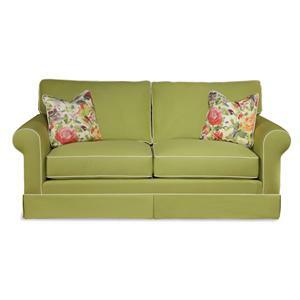 This sofa has down blend cushions for a comfortable sit. Use with coordinating pieces to update your entire living space. 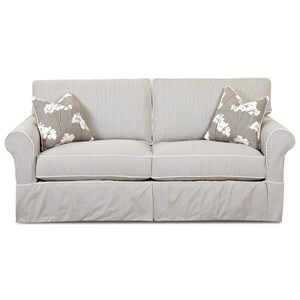 The Southern Shores Traditional Sofa with Rolled Arms and Slip Cover by Elliston Place at Morris Home in the Dayton, Cincinnati, Columbus, Ohio, Northern Kentucky area. Product availability may vary. Contact us for the most current availability on this product. 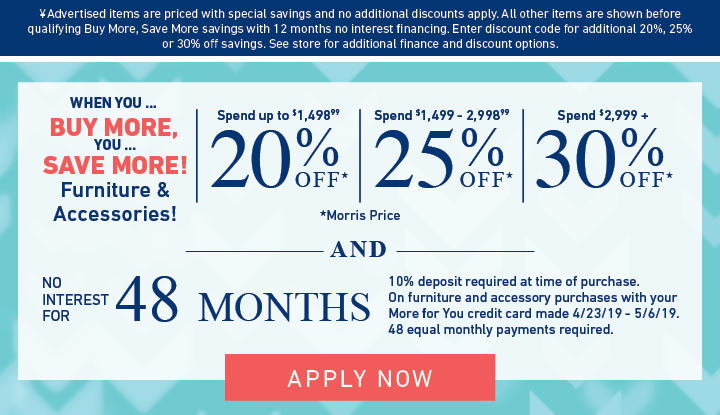 The Southern Shores collection is a great option if you are looking for Traditional furniture in the Dayton, Cincinnati, Columbus, Ohio, Northern Kentucky area. 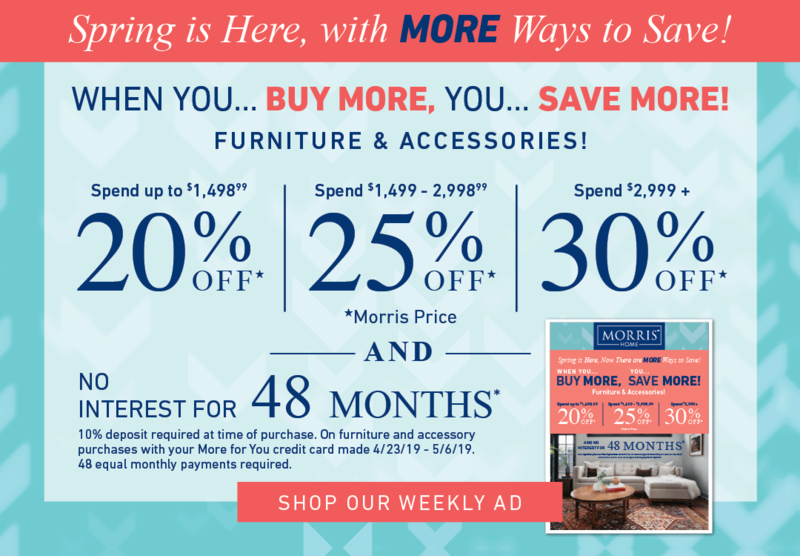 Browse other items in the Southern Shores collection from Morris Home in the Dayton, Cincinnati, Columbus, Ohio, Northern Kentucky area.